Prime Location. 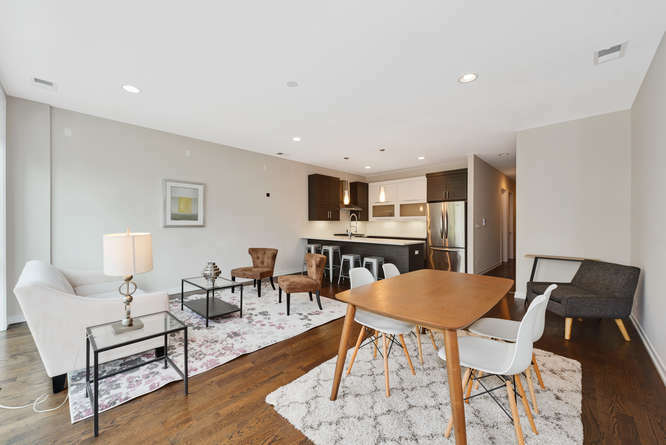 Rarely available modern 2 bedroom, 2 bathroom light filled condo in the heart of West Town’s Ukranian Village. 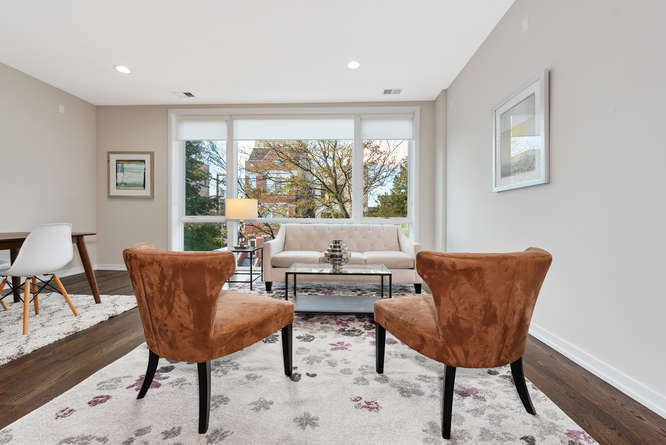 Dramatic floor to ceiling windows, 10 foot tall ceilings, hardwood floors, magazine worthy kitchen features quartz countertops, stainless steel appliances and an eat-in island. 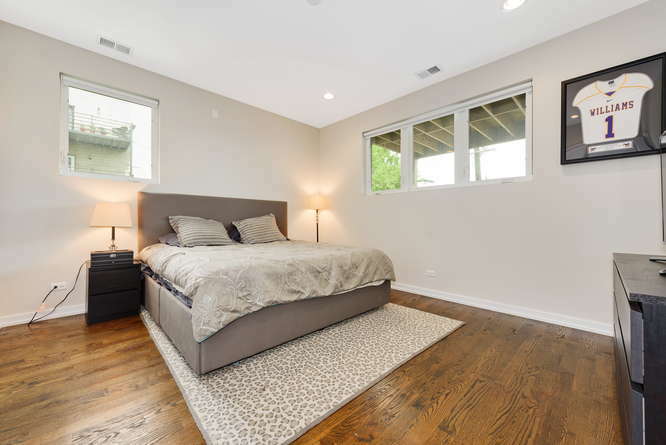 Enormous master suite includes walk in closet, spa like master bathroom with dual vanity, steam shower and heated floors. 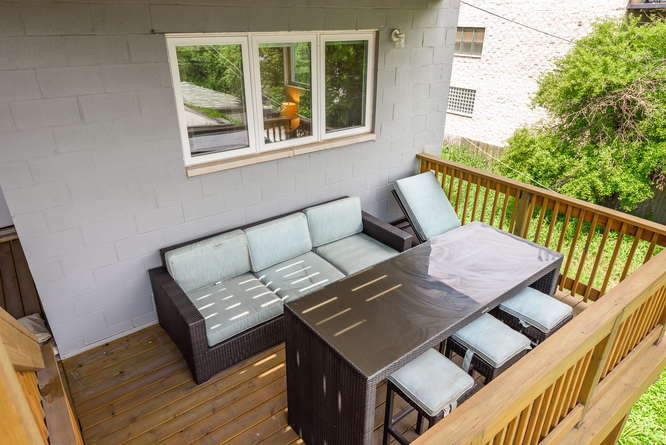 Extra Large deck with city views, additional storage space and 1 garage parking space included. 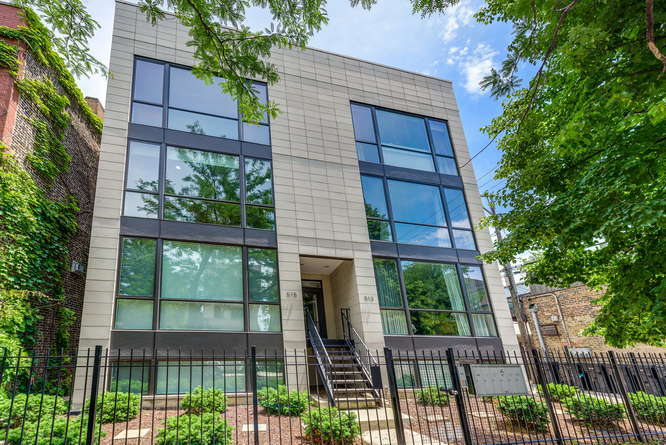 Live in the heart of one of the hottest neighborhoods in the country. Steps to Metra line, Smith Park, restaurants and bars. 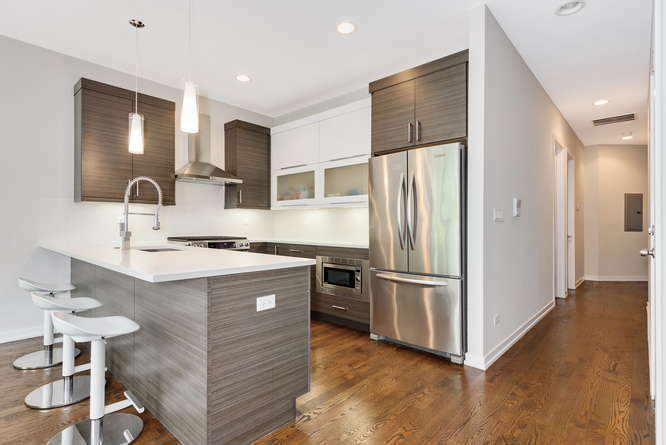 Meticulously maintained condo in financially sound building with LOW assessments. 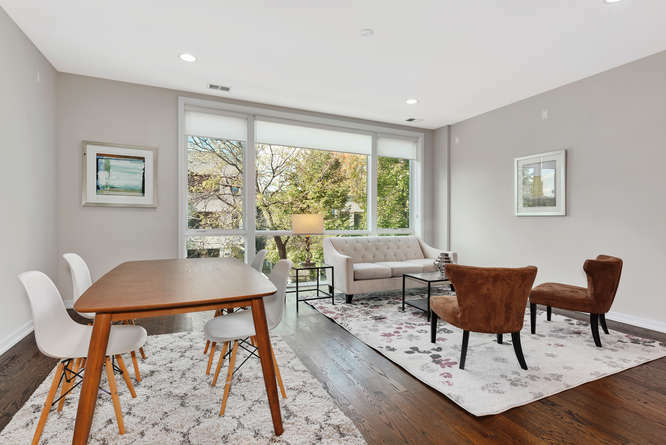 Western exposure and floor to ceiling windows allow for great natural light. 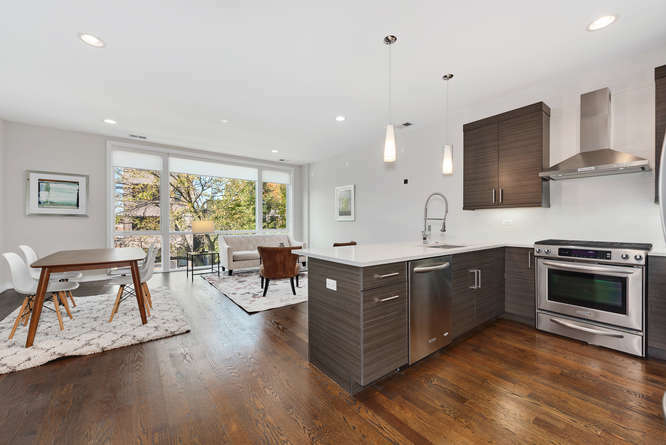 This magazine worthy kitchen also includes a breakfast island. 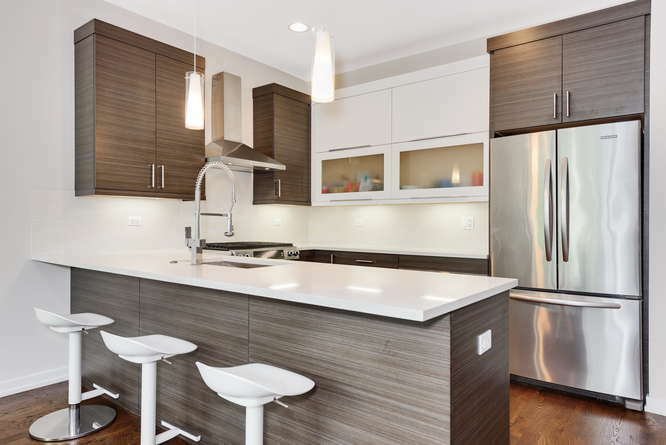 Love the contrasting color tones of white quartz countertops and backsplash with modern dark cabinets. 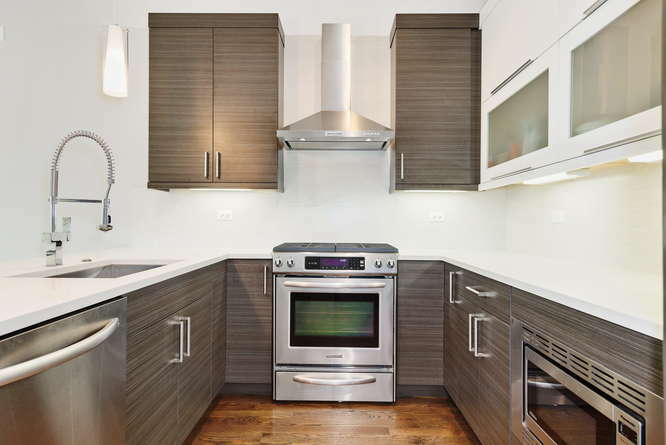 Kitchen features ultra-modern cabinetry, white quartz countertops and stainless steel appliances. The open layout is ideal for entertaining. The large living area fits a dining table and living room furniture. 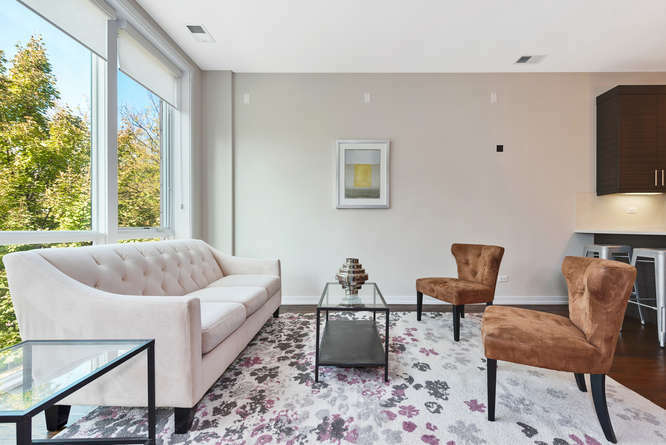 Bring all your decorating ideas and make this modern condo your new home. 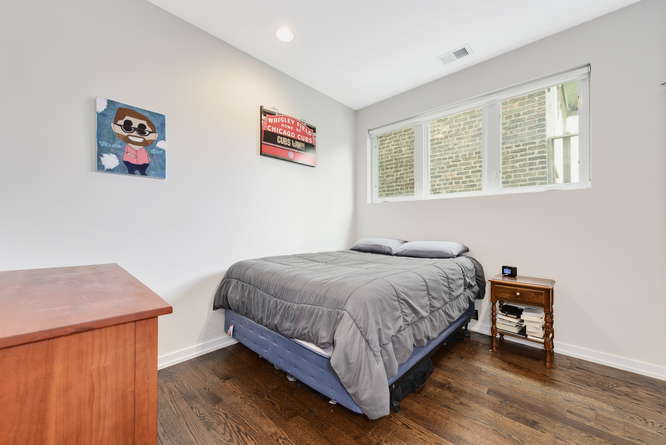 The large master bedroom has enviable natural light and includes a deep walk in closet. 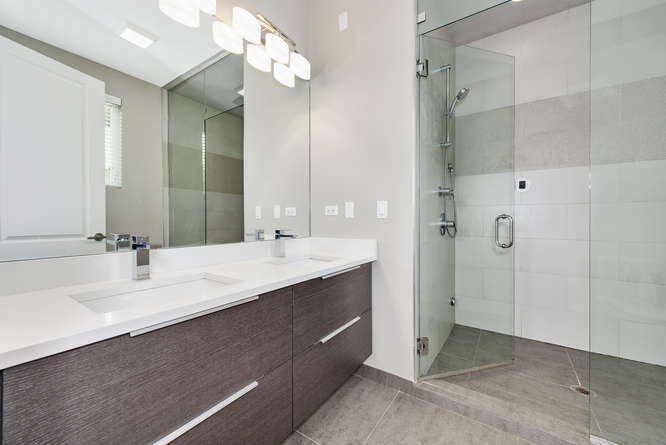 The spa like master bathroom has dual vanity, steam shower and heated floors. The 2nd bedroom easily fits a queen or king size bed. 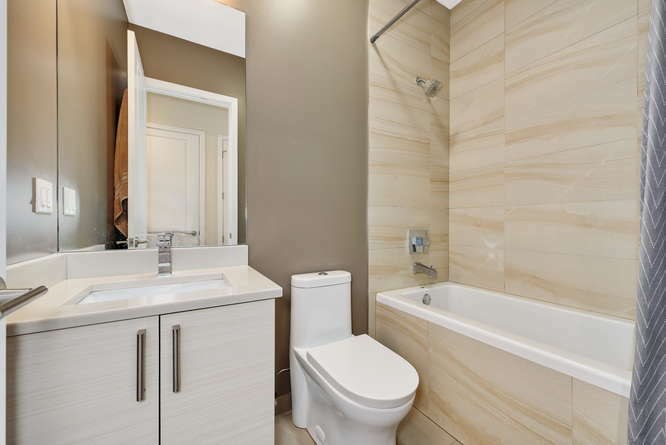 Neutral color tile and top of the line fixtures makes this bathroom timeless. 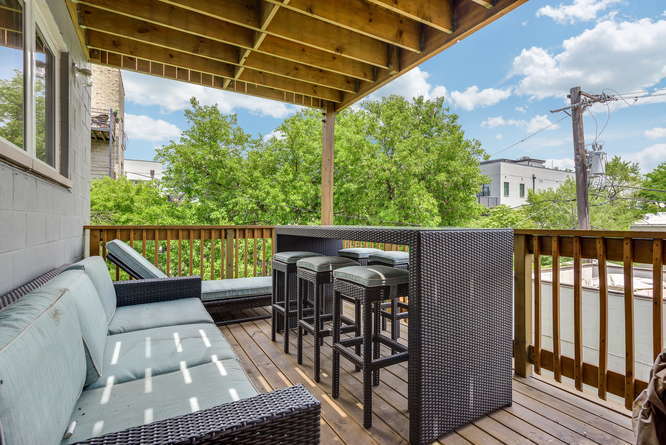 The condo includes your own private, covered deck with views of the city skyline. Enjoy warm summer nights in your private outside space. 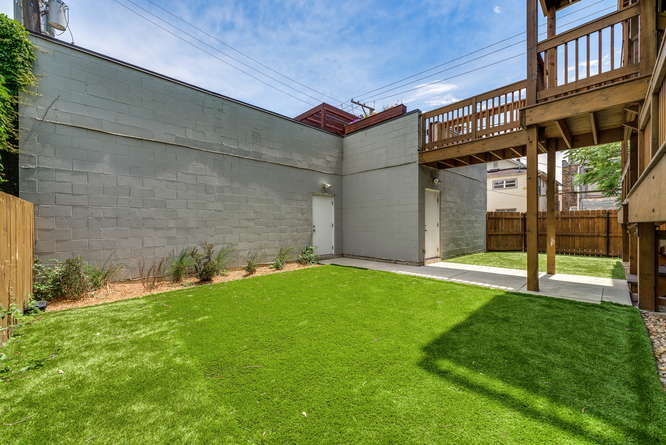 The common backyard has been fitted with artificial turf and is an added outside space.